Feel free to contact us should you have any questions about choosing the best size based on your measurements or alterations. You may also reference our how to take measurements video or our quick reference guide. The listed international size conversions are approximations only. 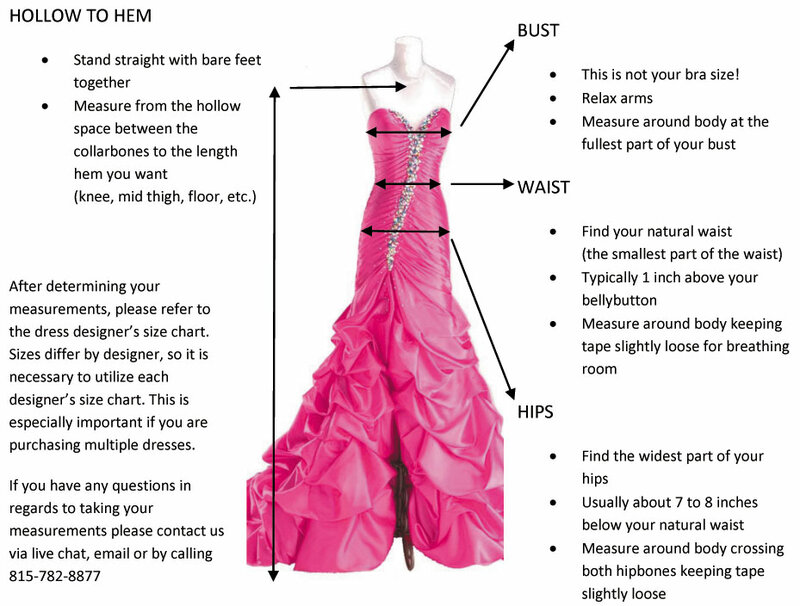 Please take your bust, waist and hip measurements to compare to our size charts to determine the best size dress for you. Click the button below to add the Stephanie H. Height 5'10 Bust 36 Waist 28 Hips 37 to your wish list.